One of my favorite newer brands on the indie scene, Corvus Cosmetics, recently came out with the Kinder-und Hausmärchen collection, a set of 14 eyeshadows based on the darker side of fairy tales. I had been wanting to pick up some new shades from them and decided to pick up a sample set of the whole collection. 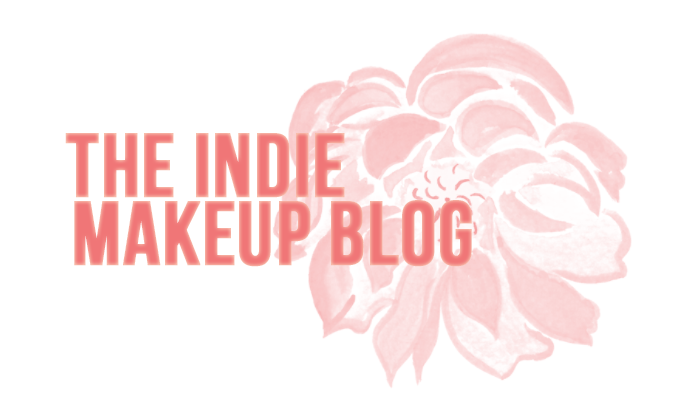 If you have a moment, I highly suggest taking a read through the eyeshadow descriptions. They are super interesting and add a cool morbid spin to the common fairy tales. When I first looked at them, I spent half an hour reading the descriptions! Some of the eyeshadows were originally part of the Year 3000 collection but had to be renamed due to copyright issues. I'll notate the old names when applicable. I'll be posting part 2 later this week! 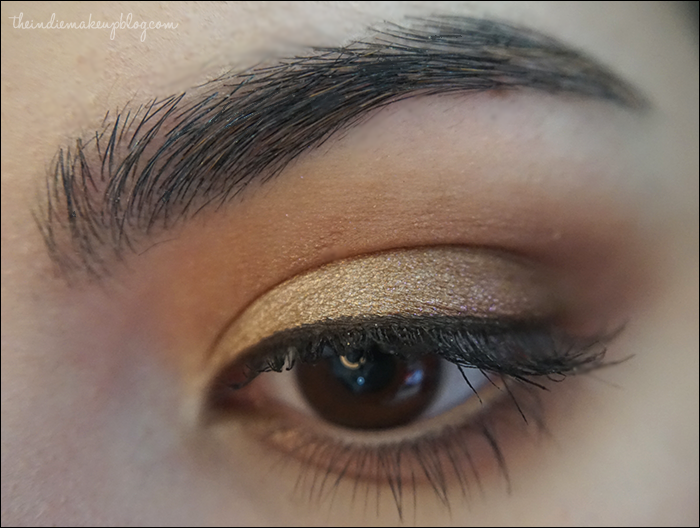 Here's my EOTD using only shades from this section of the collection. I used Golden Slipper on the inner 2/3 of the lid, Gingerbread Haus on the outer 1/3, Goodbye Hans as a transition shade, Barely A Bite in the deep crease and the outer edges, and The Devil Told You That on the inner corner. 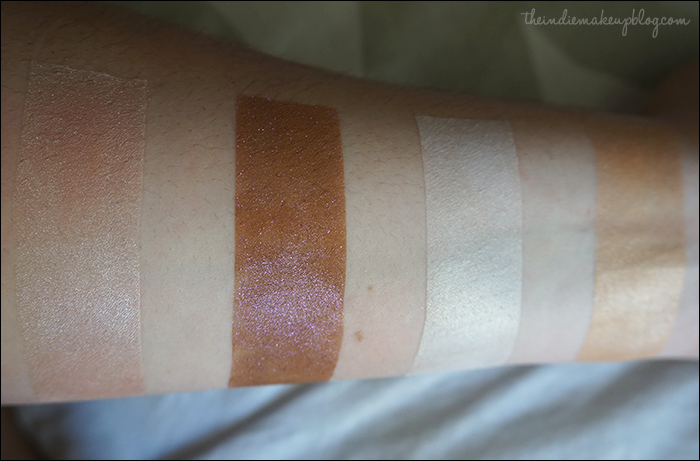 From left to right: Let Down Your Hair, Gingerbread Haus, The Devil Told You That, Golden Slipper. Golden Slipper (previously named Champaggin) is a warm champagne gold. 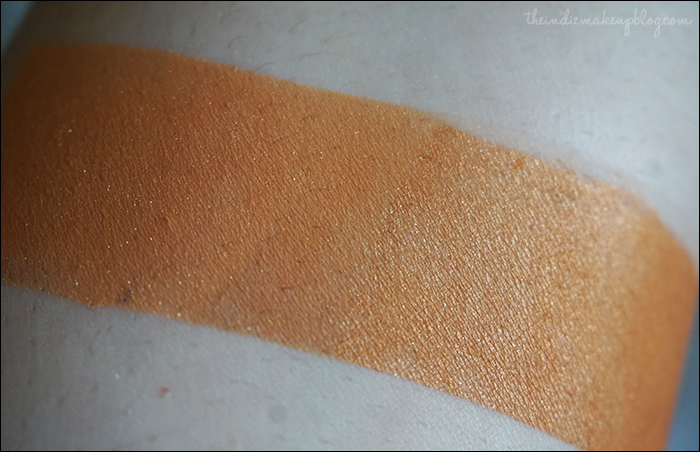 nice pigmentation over regular primer, you can definitely get away without using a sticky base underneath. The Devil Told You That is a shimmery white gold. 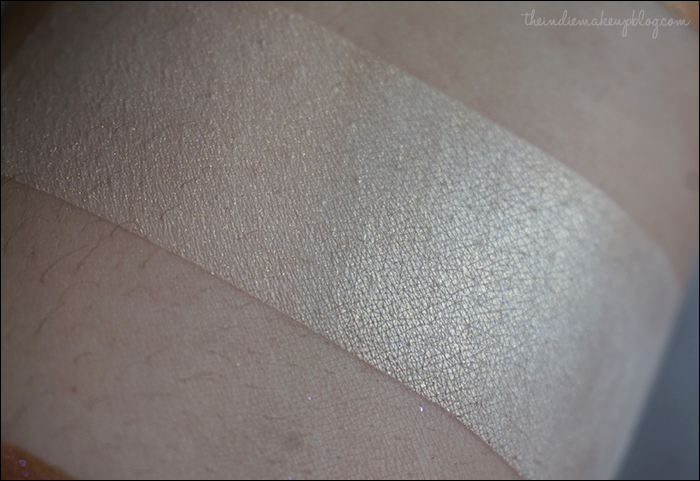 The shimmer leans slightly more golden in person. 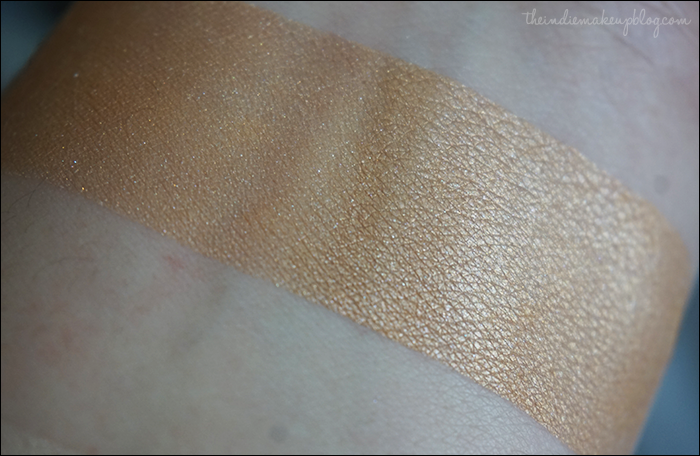 It makes a great highlight shade for the browbone or inner corner. This color is a great addition to the collection and helps round it out. 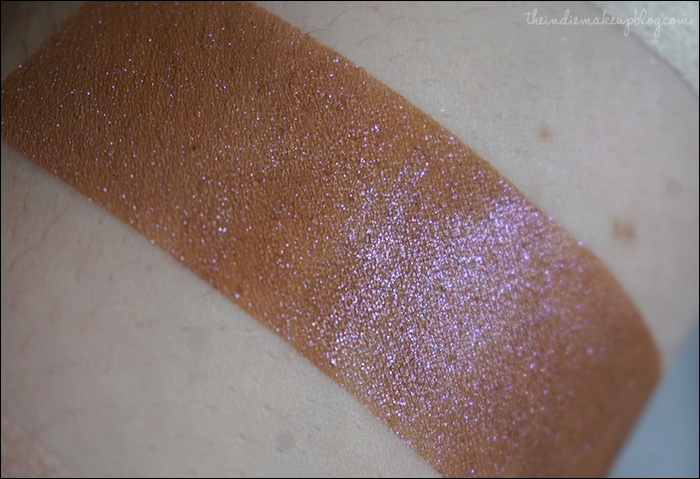 Gingerbread Haus is a caramel brown with heavy pink shimmer. UMPFFFF. 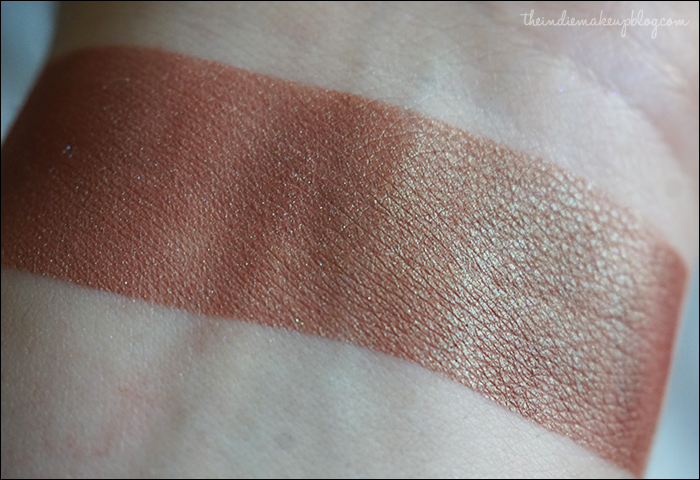 This shade is just absolutely gorgeous. 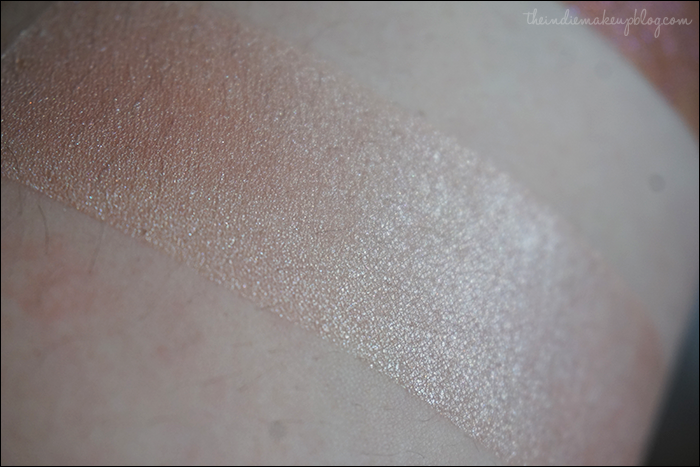 The pink shimmer stands out so beautifully against the toffee-colored base, even over regular primer. This is in my opinion the must have shade in Corvus' catalog. This color is very unique as well, I can't think of any colors even remotely similar to this. Let Down Your Hair (previously named Smizmar) is a soft shimmery pink. Not particularly unique but a good shade for a quick wash of color on the lid. From left to right: Nightingale, Goodbye Hans, He Was No Frog, Barely A Bite. Barely a Bite is a rusty red with a green duochrome. As you may be already thinking, this color is pretty similar to Femme Fatale's famed Candied Apple. Candied Apple has a more mauvey base than this shade. I actually prefer the formula of this one much better as the base is more opaque. I used this in the outer crease in my look below and I love how it came out. 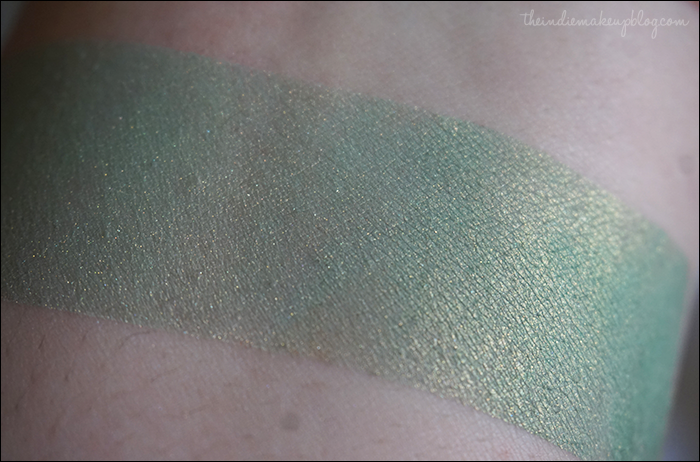 He Was No Frog (previously named Good News Everyone) is a pale green aqua with a gold shift. This was the only shade that was on the sheerer side. It needs a sticky base for the shift to really stand out but the end result is beautiful and worth the effort! Goodbye Hans (previously named Orange Joe) is an orange with gold shimmer. 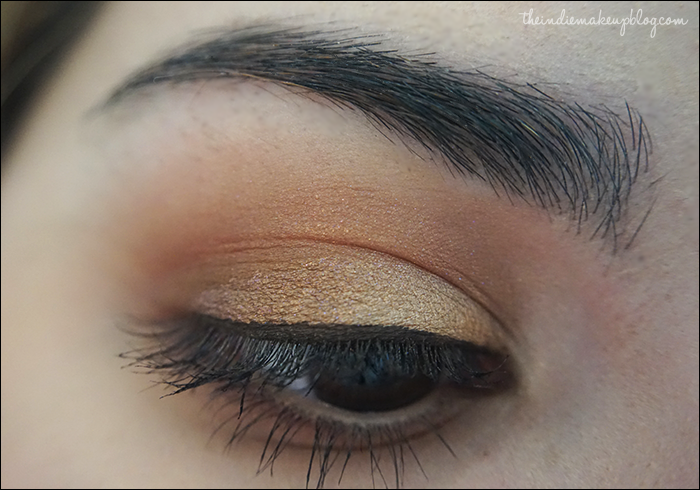 I love how this color adds dimension and warmth to the crease. 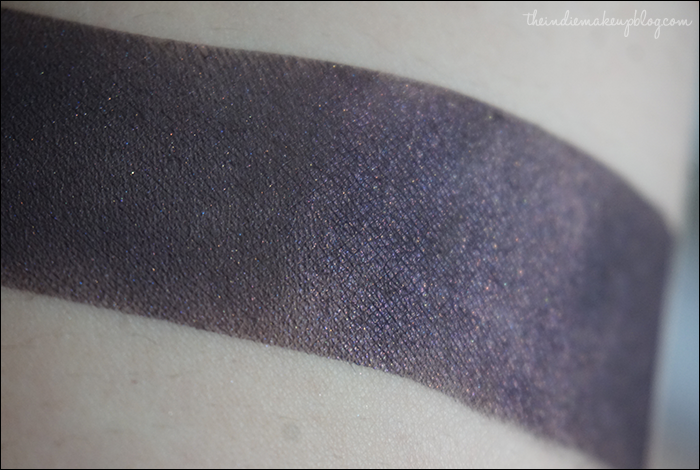 Nightingale is a deep smokey purple with subtle pink shimmer. I tend to stay away from super dark shades but this one is nice. I would probably use it to smoke out my lower lashline and add dimension to the outer V.
Keep an eye out for part two coming later this week! 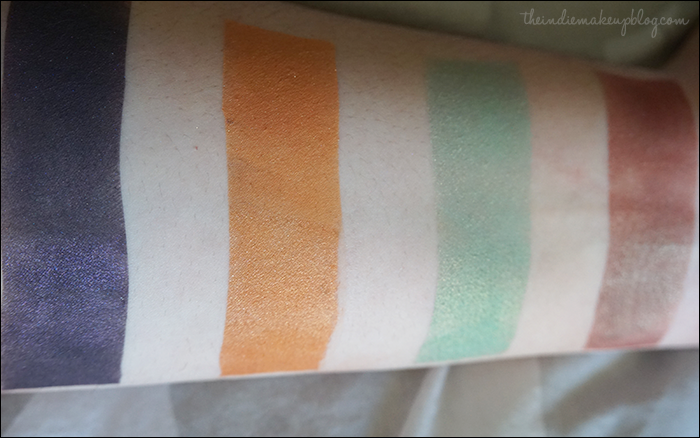 You do the most beautiful swatches I have ever seen! Thank you Loevens! That's very kind of you to say.